In celebration of Halloween, here are my Top 10 supernatural pleasures! This series is by the creator of Dawson’s Creek, which I will always be a fan off so we have teen angst with a supernatural twist. Vampires, witches and werewolves add in the gorgeous vampire brothers (see above) and you have series full of twists and truns, romance, action and swoon factor. What more could you want?! Twilight really kicked off my love for supernatural things and Young Adult books. I got completely sucked into the books, fell in love with Edward and vampires. The films have done a great job of visualising the series and I can’t wait for Breaking Dawn to come out in November! There was a no way this couldn’t be included. The most famous wizard of all time will probably top such lists for year to come. This will always be a favourite of mine. Everyone’s favourite vampire slayer, this had to be included. Of course, the show had more supernatural beings than just vampires and will probably always be on top 10 supernatural lists. Great fun. 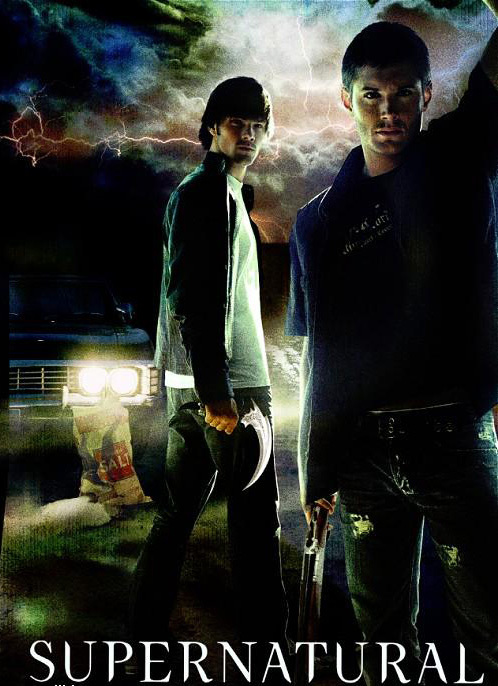 This show deals with every kind of supernatural being, following a pair of brothers as they hunt them down. It’s loads of fun and you can’t not be love with Sam and Dean. Sigh. This series of books about vampires is a brillant read providing a brand new mythology and some fiesty characters, it’s a real page turnover. I hope it will be a film one day! This was one of the first films I ever watched about witches. It’s creepy but hilarious. You may recognise one of the witches as she’s now in The Mentalist. A good girlie sleepover film. The TV show about three sisters and then two sisters and a cousin who were witches was a great mix of family drama and supernatural powers. Jennifer Love Hewitt took the lead in this supernatural drama as the girl who could talk to ghosts and to elad them to the other side. Spooky and emotional. A creepy and gripping supernatural book series about a girl who is drawn to dead bodies and the killers who stalk their victims. You won’t be able to stop reading once you start. I’ll be sharing Halloween songs in a themed Sunday Songs tomorrow! Hi Becky! You have good taste 🙂 I hope you get to read them I think you’ll enjoy. Thanks for commenting! Loved Charmed. Was so sorry when it ended. BBC’s Being Human is another one of my favorites. You’ve tweaked my interest with the book The Body Finder. I hate it when good shows end! NBC aired a new show called Grimm last night – I kind of like it (but I only saw a bit since I was watching the World Series). Yeah, Twilght kicked off my interest in supernatural also. I can’t seem to get my hands on the Vampire Academy books 😦 Cannot find them at the library. 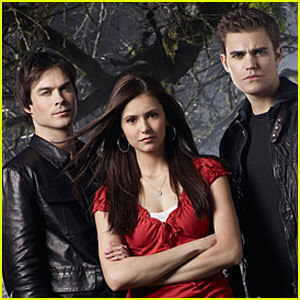 I hear Vampire Diaries is good but never watched. I like(d) movies like Hocus Pocus, The Haunted Mansion, Monster House …mostly all family oriented type things. Or halloween-themed episodes like on re-runs of Home Improvement. Grimm sounds interesting. There’s also a new witch show starting called The Secret Circle which looks good. I know. I totally think that seems like a good book idea…when I heard about the show, I thought maybe it was based on a book. Interesting idea. It’s from the same author as Vampire Diaries! 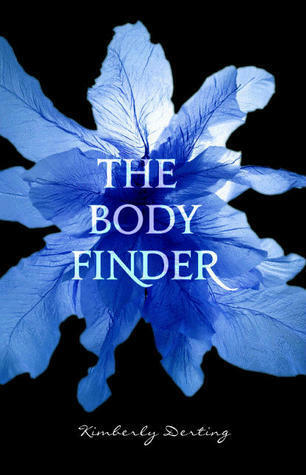 The Body Finder was an excellent YA book – and of course, the Harry Potter series is always a classic! 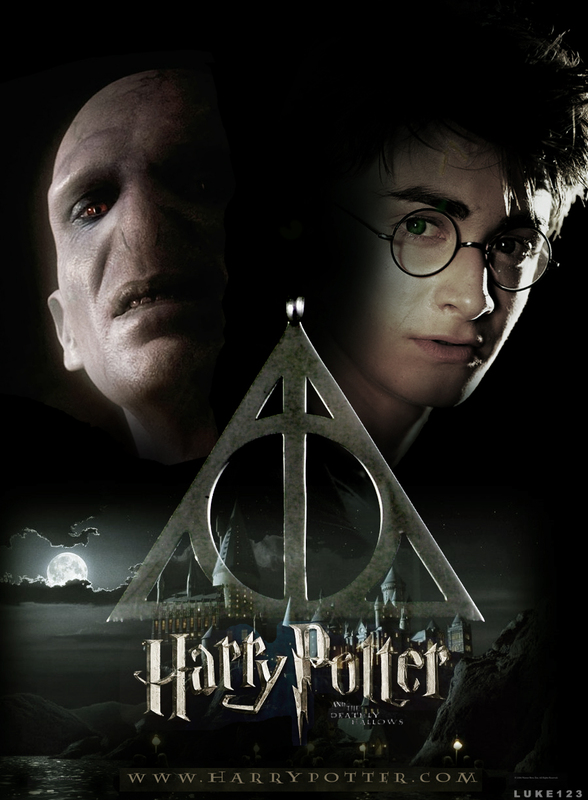 Nothing will ever top Harry Potter for me! And The Craft! My friend and I snuck into the movie because we weren’t old enough to see it, it’s still high up on my list of faves. I can’t wait for the next DVD to come out! I’m really not into supernatural stuff but I must say I love True Blood. I kind of want to catch Grimm as well but only in the daylight b/c I definitely wont be able to watch it before going to bed! I like the books TB is based on more than the show! I haven’t heard of The Body Finder until now–I’ll have to check it out! Oh I love Twilight…but mostly b/c I love Robert Pattinson! I loved The Craft, too! It’s been on a lot lately, too. Wow these are all great. I love all. I didn’t really get into buffy, but I will be checking it out to see if I can get into it…thank you Netflix. And then I will be checking out the body finder. Other than these two, I love ALL of them and have the books. I’m tempted to buy the Buffy box set, it’s the only one I don’t have. I hope you enjoy it! I love all of these lots and lots! I’ve never heard of the body finder though. Gonna have to add it to my goodreads queue. I’m currently getting my friends hooked on Vampire Diaries. You need to add The Secret Circle. It’s actually pretty creepy and they’ve already added in some interesting twists to the plot. I’m with you for some of these – we’re big Harry Potter fans in my house, and I loved Charmed (and our dog is named Phoebe). Happy Halloween! Aw cute dog name 🙂 happy Halloween! My wife LOVES and shares your #1! 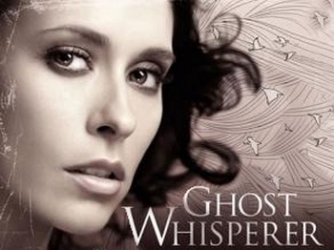 My daughter has every episode of Ghost Whisperer and I love your #4 and #5!